These forests are under the direct supervision of the government. No public entry is allowed for collection of timber or grazing of cattle. 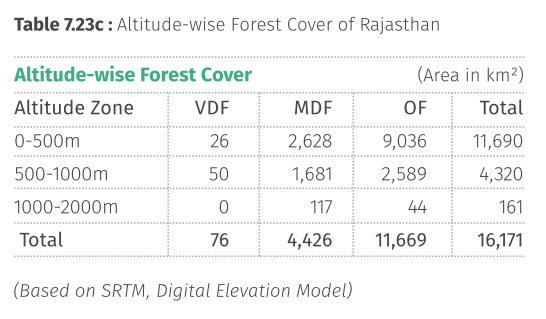 Rajasthan has 12,475 sq kms or 38% of forest as Reserved Forest. These forests are looked after by the government, but the local people are allowed to collect fuel-wood/timber and graze their cattle without causing serious damage to the forests. Rajasthan has 18,217 sq kms or 55% of forest area under Protected Forests. The unclassified forests are those in which there is no restriction on the cutting of trees and grazing of cattle. 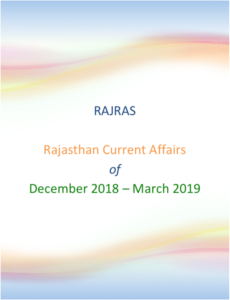 Rajasthan has 2045 sq kms or 7% of area has Unclassified forests. In Rajasthan, there are only 27 Sq kms of very dense forests. The Land with forest cover having a canopy density of 40-70% is called the Moderately Dense Forest (MDF). In Rajasthan, there are only 2341 Sq kms of moderately dense forests. The Lands with forest cover having canopy density of 10-40% are called Open Forests. In Rajasthan, there are only 6505 Sq kms of open forests. The degraded forest lands which have a Canopy density of less than 10% are called Scrubs. In Rajasthan, there are about 22286 Sq kms of scrubs. Rest of the area, included all other lands except forest area. 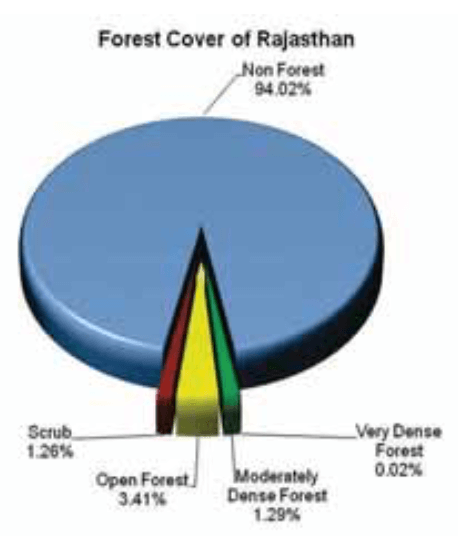 The report also identifies, variation of forests with altitude. Forest Cover All lands which are more than 1 hectare in area and with a Canopy density of more than 10% irrespective of the ownership and legal status is called Forest Cover. The cover of branches and Foliage formed by the crown of trees is called Canopy. The percentage area of land covered by the canopy of trees is called Canopy density.